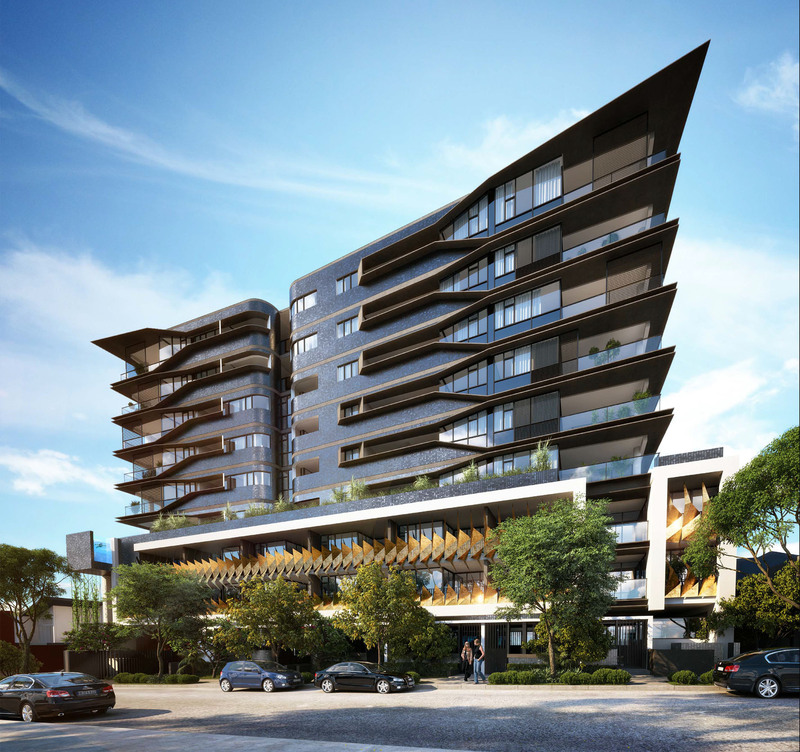 A new DA has been submitted by Velichi Pty Ltd for a nine storey residential development located at 71-73 Doggett Street Newstead. The development comprises of 97 apartments and has been designed by Ellivo Architects. The project includes a residents pool and bbq deck with sauna and steam room. accommodation above entry lobby and ground level units, consisting of 97 units in total. Below consists of 3 levels of visitor and residents parking sleeved with sub-tropical deep planting areas offering a softer connection to the street interface and increased privacy to the rear neighbours. A landscaped recreational space at level 3 also offers residents a high level of amenity including pool, BBQ, sauna and steam room facilities. Located on the northern facing side of the development allowing for maximum lighting exposure, the recreational space also seeks to provide city views with the orientation of the pool cantilever. Overall, the architectural expression seeks to create a more homogeneous approach to the apartment typology. The apartment balconies have been confined within the continuous façade, and combined with the tectonic façade screen at the lower apartment levels, this results is a form that offers a sculptural contribution to the Newstead context. 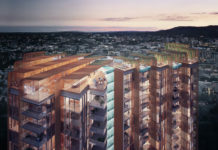 The material selections of tile, metal and aluminium screening draw upon those more akin to hotel typologies to deliver a more sleek and opulent development. The DA number for this development is A004071267. I am interested in 2 and 3 bed apartments. Please can you give me a price indication. Interested in 2 & 3 bedroom apartments. Can you please provide price and floor plans.